The following words come from beloved Mijente member and fierce movement-leader, Alejandra Pablos. Ale has been in ICE custody at the Eloy Detention Center in Arizona since March 7th. We are grateful for our comrade and honored to fight by her side. Her generosity of spirit is what keeps us going. 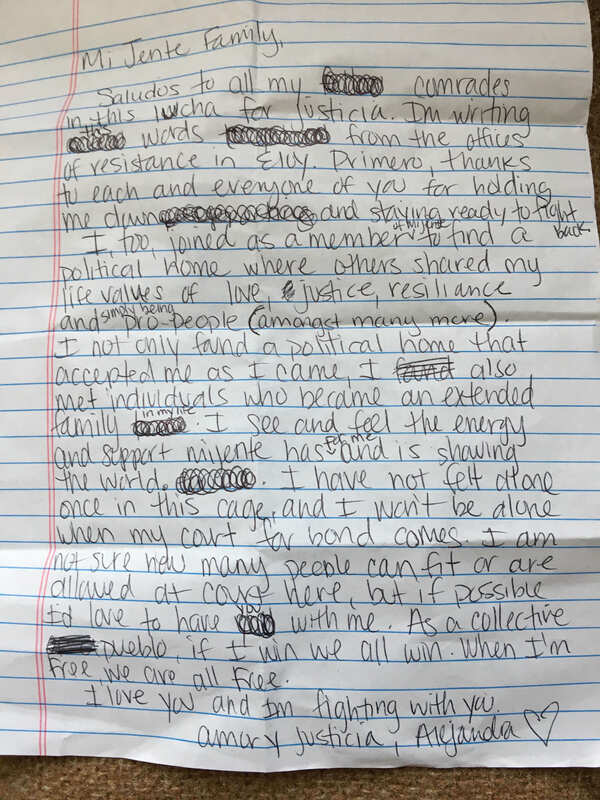 Original letter written by Ale. Saludos to all my comrades in this lucha for justice. I’m writing these words from the offices of resistance in Eloy. Primero, thanks to each and everyone of you for holding me down and staying ready to fight back. 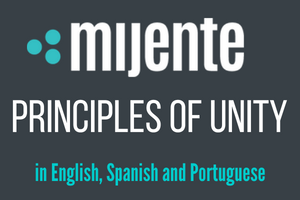 I, too, joined as a member of Mijente to find a political home where others shared my life values of love, justice, resilience and simply being pro-people (amongst many more). I not only found a political home that accepted me as I came, I also met individuals who became an extended family in my life. I see and feel the energy and support Mijente has for me and is showing the world. 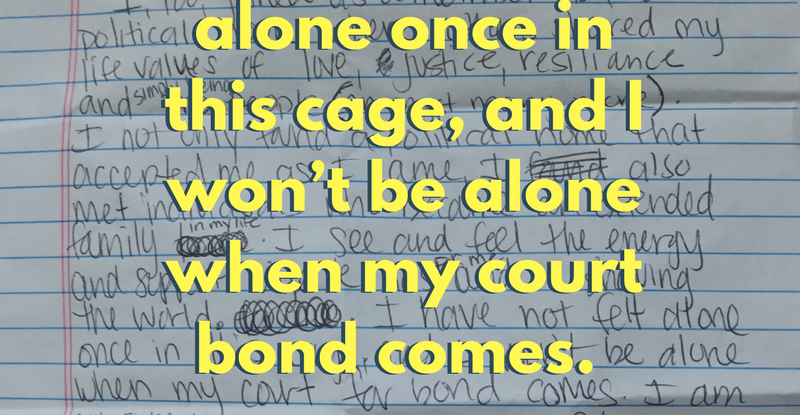 I have not felt alone once in this cage, and I won’t be alone when my court bond comes. I am not sure how many people can fit or are allowed at court here, but if possible I’d love to have you with me. As a collective pueblo, if I win we all win. When I’m free, we are all free. I love you and I’m fighting with you.